Luksushus med alt, hvad man behøver. Fungerede fint for alle 10 familiemedlemmer - fra babyer/barn via teenager til forældre og bedsteforældre - og der er plads til både fællesskab og privatliv i det store hus. Dejlig pool, dejligt område med udendørs grill. Det er ikke noget at sætte fingeren på! We stayed in the house for 2 weeks. Everything has been perfect in relation to renting the house from first contact to the owner Frank. The house itself , the grounds, the pool and the view from the house's various terraces and balconies are stunning . There is nothing missing in the house. 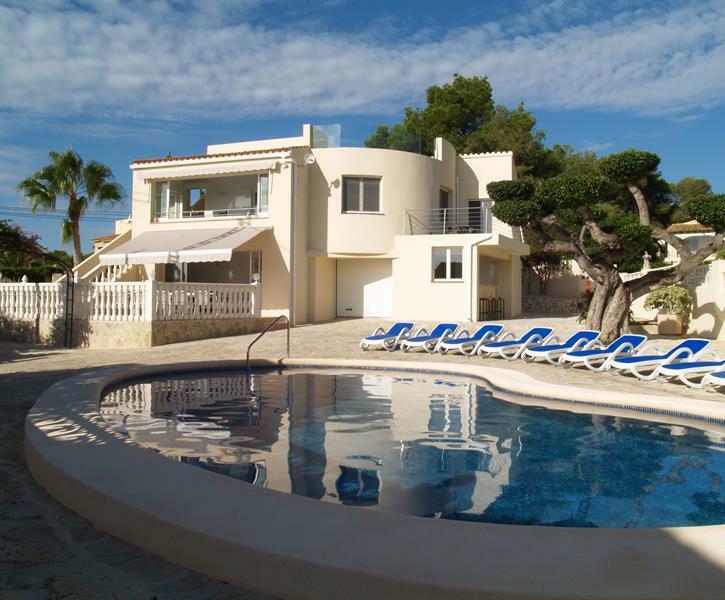 The Moraira and the area which the house is located in is beautiful and peaceful compared to many other coastal cities that we have visited on the Costa Blanca coast. We will definitely come back .